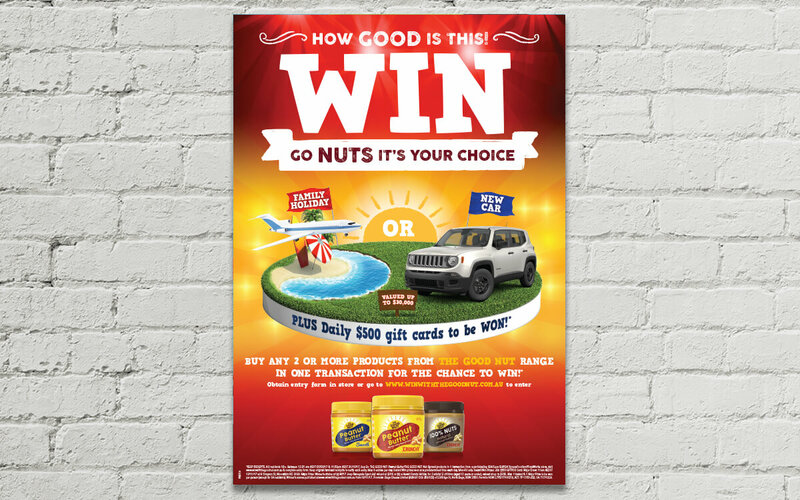 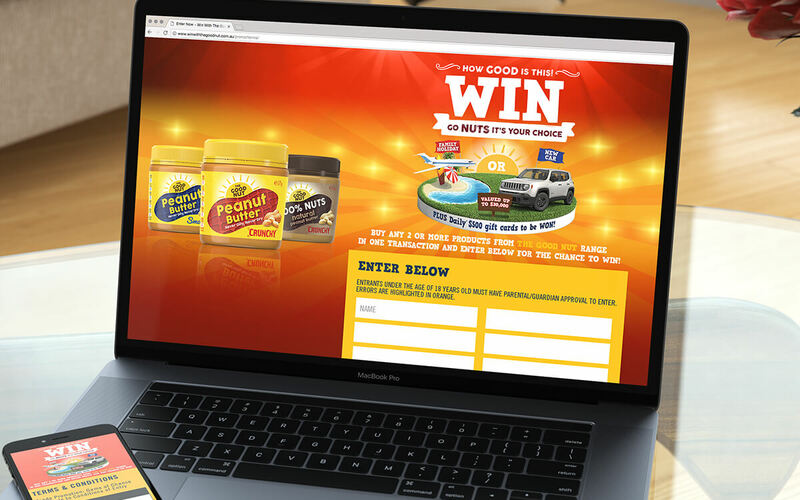 Night & Day were responsible for concept development, key visual design, consumer promotion management and prize fulfillment of the Peanut Butter “Pick Your Prize” consumer promotion. 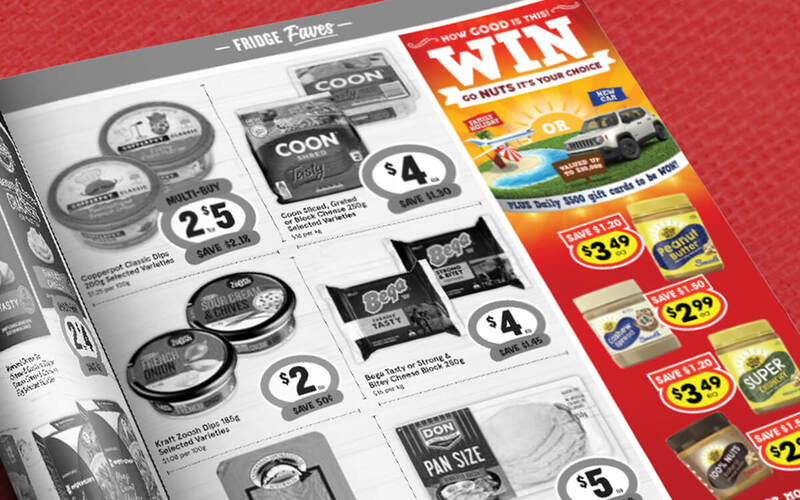 The campaign ran in independent grocery, and featured print advertising, catalogue advertising, point of sale design and a microsite. 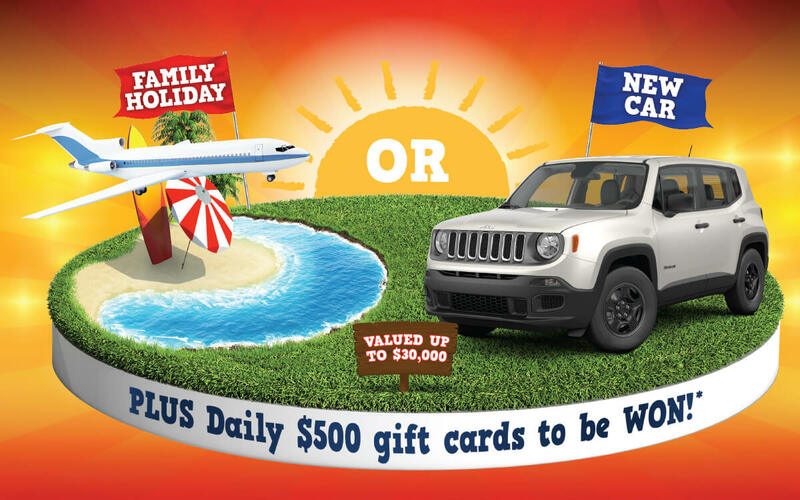 The major prize winner had the option of choosing between a 2017 Jeep Renegade Sport or holiday package, with 40 additional minor prize winners – all of which Night & Day managed. 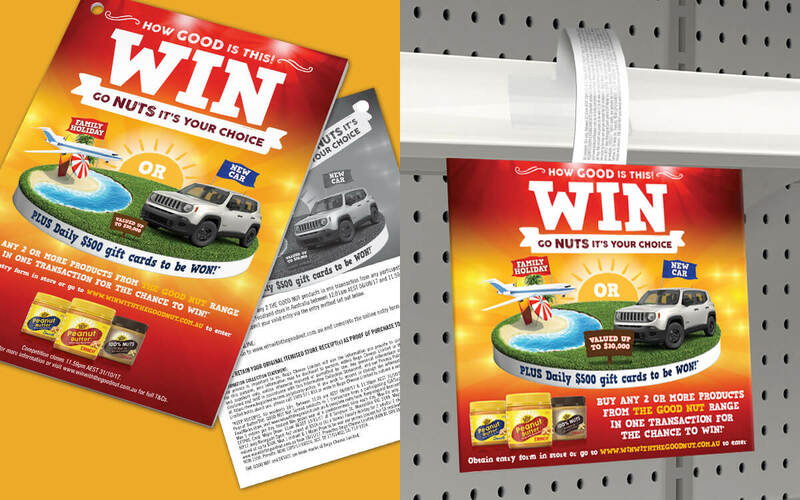 Project Scope: Art Direction, Catalogue Advertising, Competition T&Cs, Digital Media, Image Retouching, Key Visual Creative, Microsite, Point Of Sale Design, Print Advertising, Prize Fulfillment, Website Design.